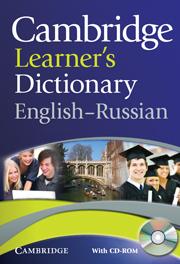 This is the first edition of the semi-bilingual Russian version of the Cambridge Learner's Dictionary, ideal for intermediate to upper-intermediate students. Russian translations are given for every sense, and thesaurus and common error notes give students extra help with producing English. The dictionary is accompanied by a CD-ROM containing the full text of the dictionary, and including SmartThesaurus, QuickFind, recordings of every word in British and American English, plus study material. 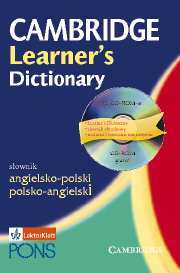 This is a semibilingual Polish version of the Cambridge Learner's Dictionary with CD-ROM.